Alexis "Azur" crepe cocktail dress with chiffon ruffled trim. For in-store inquiries, use sku #2325544. 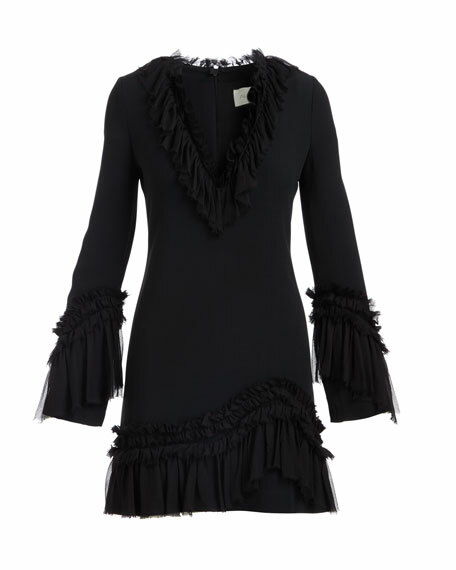 Cinq Sept "Frankie" dress with ruffled-trim. Sweetheart neckline; scoop back. Sleeveless; ruffled straps. A-line silhouette. Slipover style. 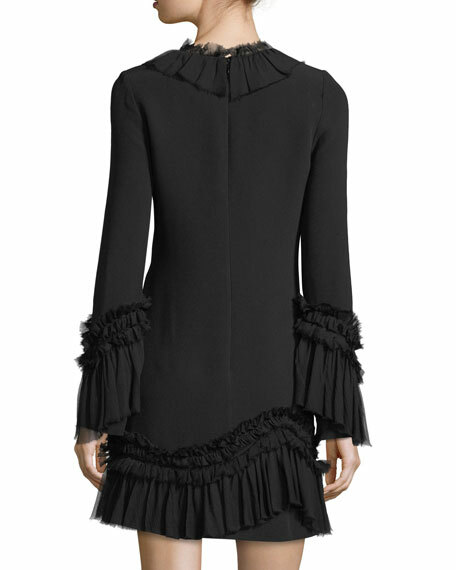 Tiered, ruffled hem. Mini length. Lining, polyester. Imported. 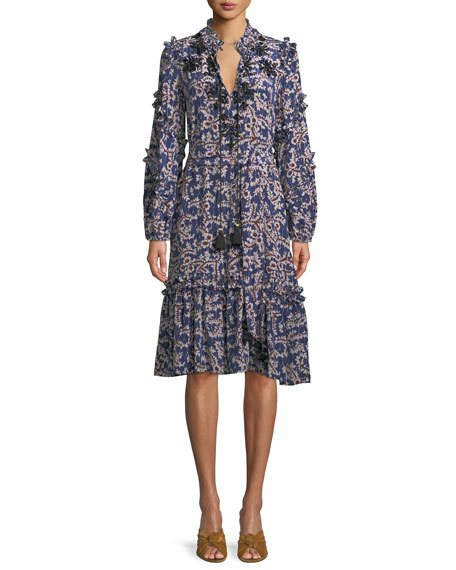 Diane von Furstenberg mini dress in stretch jersey knit. Approx. 38"L from shoulder to hem. Jewel neckline. Long sleeves. Seamed and darted at natural waist. Angled welt pockets at hip. A-line silhouette. Exposed back zip. Viscose/spandex. Dry clean. Imported.